Beretta is an Italian firearms manufacturer that produces some of the finest weapons ever designed. There is a long tradition of quality guns coming from Italy. In fact, two of the best weapons in my gun safe are Italian. These days, Beretta sells so many guns in the US that they have a US division. I have always said that the choice of a handgun is largely a personal one. It is hard to quantify how a gun will feel in your hand until you try it out. However, when you have two guns that were derived from the same design it is important to look at the differences. This is why we must do a comparison between the Beretta M9 vs 92FS. The company was founded in the 16th century. Beretta is actually the oldest active firearms manufacturer in the world. In 1650 they invented the breech-loading cannon. Since then they have supplied weapons for every major European war. Beretta sells weapons for military, police, and personal use. They have supplied over 600,000 M9 handguns to the US military. They are a legacy to say the least. In 1976, Beretta introduced the Beretta 92 pistol. This is the design on which the 92FS and the M9 are both based. The way that these new designs evolved is based on pure necessity. The US military announced a competition to design a sidearm for their overall forces. Beretta then adjusted the 92 into the M9 specifically for military use. Then the civilian 92FS was created as a safer version of the M9. 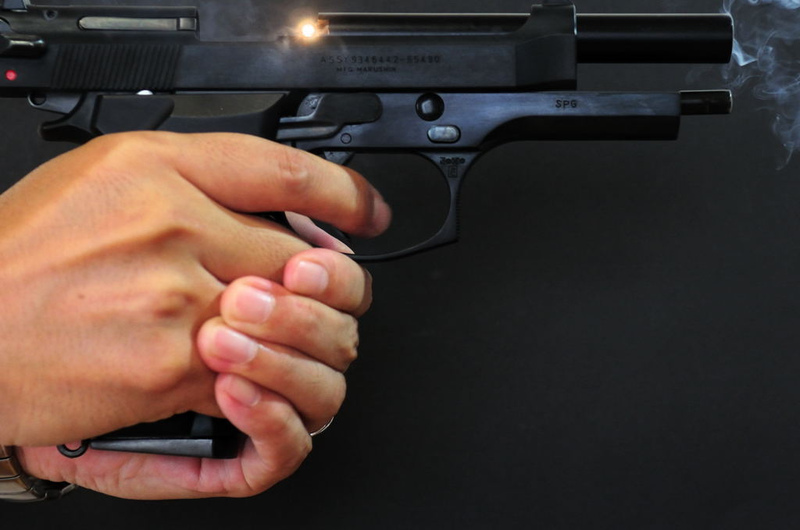 In this article we will discuss the specific differences in the Beretta 92FS vs M9. 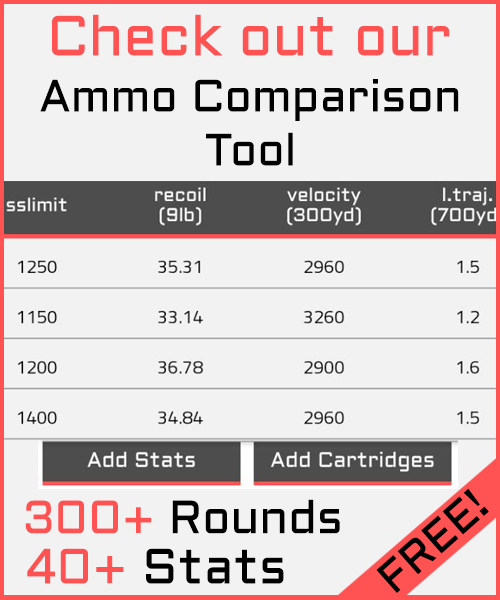 The differences between these firearms becomes apparent when you look at the safety features. On the M9, it was reported that the slide would often shoot back at the operator making it quite dangerous. There were times that the slide would actually fly off the gun striking a soldier in the face. That is not exactly what you want to happen when you are fighting for your life. To fix the problem, Beretta installed a bigger hammer pin in the 92FS. This eliminates the risk of the slide flying backwards at the user. It is an obvious advantage in the debate Beretta 92FS versus the M9. When it comes to sights, I definitely have strong opinions. In other articles I have absolutely ripped on Glock for using plastic sights that are confusing to the eye and make target acquisition difficult. This is despite the fact that I love everything else about Glock firearms. Thankfully Beretta has opted for a fixed iron notch and post front and rear sight on both the M9 and the 92FS. However, that is where the similarities end. The M9 has two dot sight system with a white dot painted on the front sight and another painted just below the center of the sight window on the rear sight. The 92FS has a three dot sight system with a dot on the front sight and then a dot on both sides of the sight picture on the rear sight. While the two dot system is not my favorite, it is still better than the Glock sights. I just cannot stop complaining about Glock sights. Anyways, the two dot system on the M9 is okay. They are strong and durable, so you know they will not deform or break if the gun is dropped. You also will not wear on the sights while pulling it from your holster every day. Target acquisition is decent on these sights. However, the three dot system on the 92FS is easier on my eye. It has all the strength advantages of the M9 sights, but I feel it allows for faster target acquisition. However, I must emphasize that this is a personal preference. Try out different sight patterns for yourself before you decide which to purchase. Many people prefer the two dot system. One obvious difference between the M9 and the 92FS is the shape of the dust cover. This forms the front part of the gun’s frame beneath the slide. The front of the M9 under the slide shows a straight dust cover. The dust cover on the 92FS is slightly angled making the holsters designed for it unique. This difference in shape can greatly affect how each firearm fits in different holsters. If you already have a holster for your Beretta that you like, I suggest trying out the fit before choosing between these two guns. In addition, even if the gun fits in a given holster it can create drag on the draw. You always want your gun to fit securely in a holster. However, you want a clean pull when you need to draw your weapon in a hurry. Keep this in mind as you decide which gun you prefer in the debate between the Beretta M9 vs the 92FS. For those of you that know handguns, you know the grip is a big deal. Even a slight difference in shape or texture can make a huge difference in your feel of the firearm. When looking at these two firearms, there is a difference in the shape of the stock. In the 92FS, you will notice that the handle is narrower. This gives it a more distinguished arc as the handle approaches the beavertail. For those that do not know the term, the beavertail is the flared end underneath the hammer. The M9 has a wider stock with no noticeable arc. Between the two, I have to give the edge to the 92FS. Having a narrower handle allows you to fit more of your hand around the handle. This gives you more control as you fire the weapon and deal with the recoil. For most people, you will notice that your follow-up shots are more accurate with a smaller handle. Again, this depends on the hand of the person firing the weapon and there are several replacement grips available. I do not normally like to focus on differences as subtle as markings, but when reviewing the 92FS versus the M9 there is not a long list of differences. The Beretta M9 is the primary sidearm for the US military. Because of this, each gun is stamped “U.S. 9mm M9 Beretta U.S.A”. The serial number is stamped on the other side of the weapon. On the Beretta 92FS, the country of origin is imprinted with the serial number stamped below. Then on the other side you will find the stamp “MOD. 92FS-CAL 9MM Parabellum”. These are small differences but knowing that the M9 was specifically developed for the military versus the civilian 92FS, many people care about these markings. I must again emphasize that this is largely a personal decision. One should really try the weapons out before deciding which to purchase. Based on my personal preferences, in the debate Beretta M9 vs the 92FS, I would give the win to the 92FS. The primary reasons are fairly simple. I have smaller than average hands, and the smaller handle design of the 92FS helps a great deal with control. I like to be able to empty a magazine with a small grouping, and the 92FS seems to cater to that need for me. It also just feels better in my hand. There is nothing that can replace that perfect feel when you grip a handgun. Another obvious advantage of the 92FS is that it will not smack me in the face. I know the odds are small that it would happen, but the idea that the M9 would let the slide fly back in my face is an unsettling one. I like my face. I do not want to see it get messed up by my handy sidearm. The 92FS put a modification in place that will ensure that this never happens. I personally prefer the three dot sight system of the 92FS. Sights often help make my decision when it comes to handguns. If I raise the gun and cannot instantly acquire my target, the gun is probably not for me. I realize that I could always buy aftermarket sights, but why waste the money when you can purchase a gun that works as-is. More so than any other aspect of the firearm, this is a person preference. Not every eye registers the sight picture the same as mine. Fact of the matter is that the 92FS was designed as an improvement to the M9. It does not always work this way, but in this case the improvement is actually better. When spending my hard earned dollar, this does make me feel a bit better about my purchase. You can argue that in many ways these firearms are the same gun. However, when forced to choose between the Beretta M9 vs the 92FS, I have to choose the 92FS. My 92f was purchased in 1986 after I learned they won the military contract. It was made in Italy. Does that fact (Italy cause it to be worth any more? Thanks for the comparison. I’m looking at the M9A3 but they are more expensive than the 92FS and I can’t see much difference. I prefer the FS because I want the dual ambidextrous safety/decocker. One thing about your review that is different than just about everyone else is that you didn’t the trigger. Are there significant differences in the triggers? over travel, reset, pull weights, stacking, smoothness? We all want the best trigger without paying to have custom trigger jobs. Please comment, thanks.